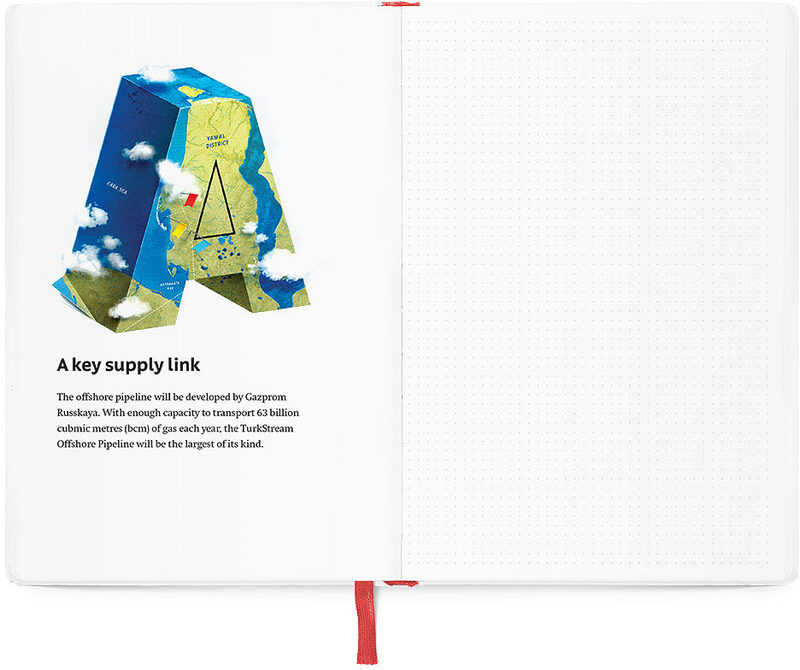 Task: to design advertising and information media. 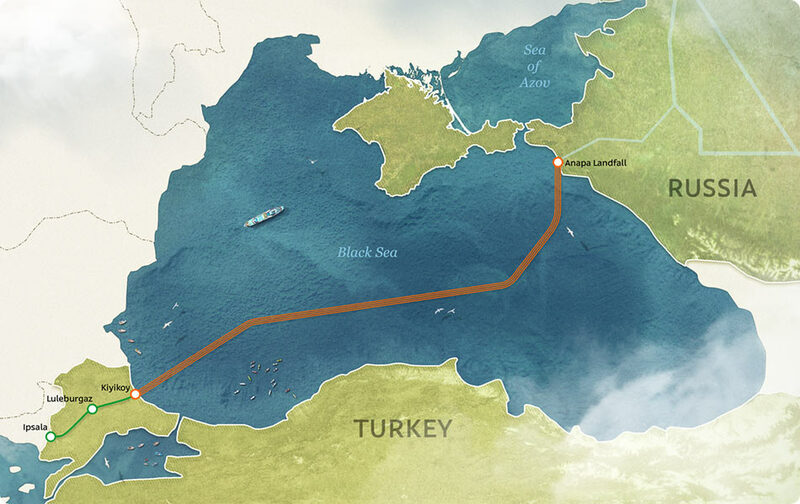 TurkStream pipeline will allow the transit of Russia’s gas abroad. 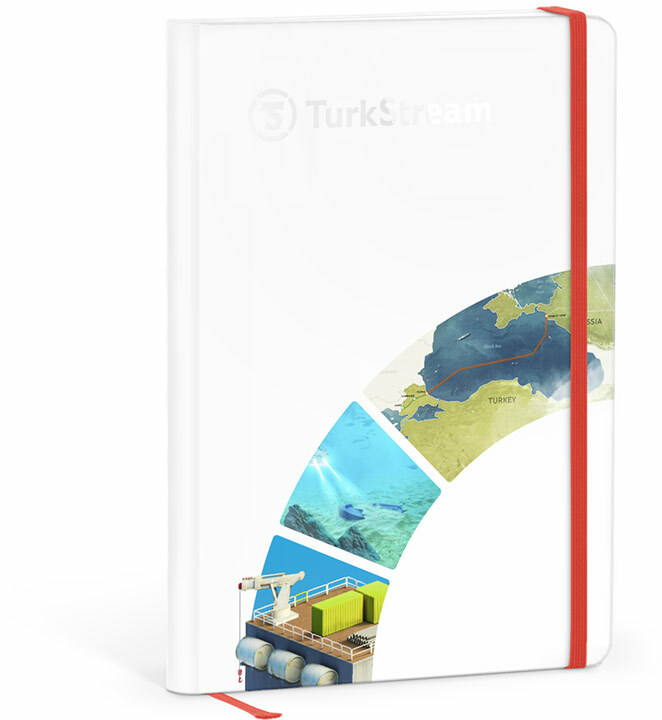 All interested parties will receive materials containing clear and detailed information about the project. 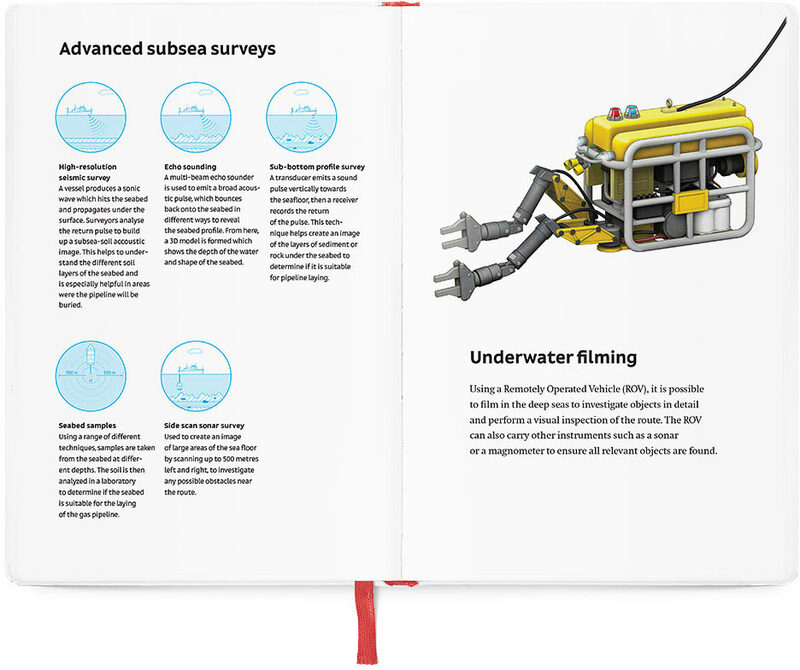 Booklets in several languages, notebooks and information posters were designed at the studio. 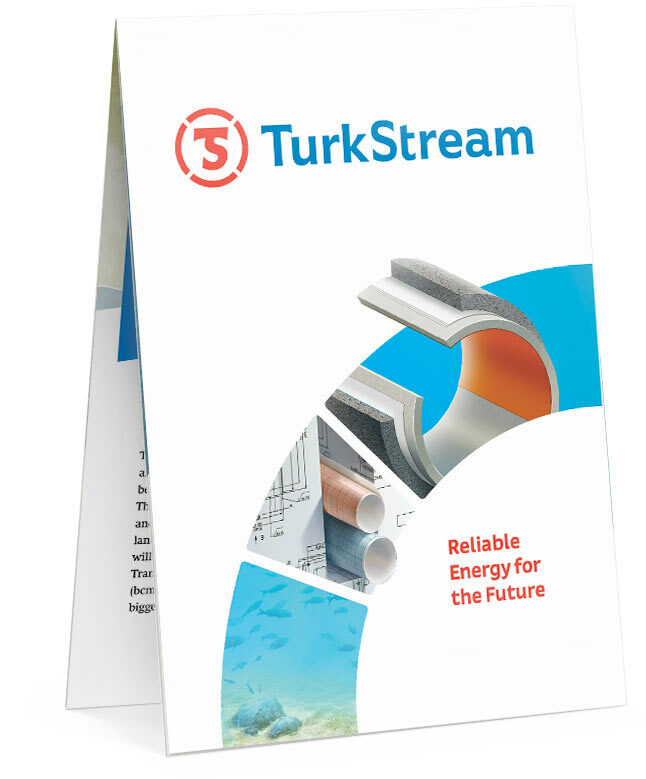 Corporate notebooks are made of quality paper, the elastic band keeps them closed and information inserts contain key facts about TurkStream. 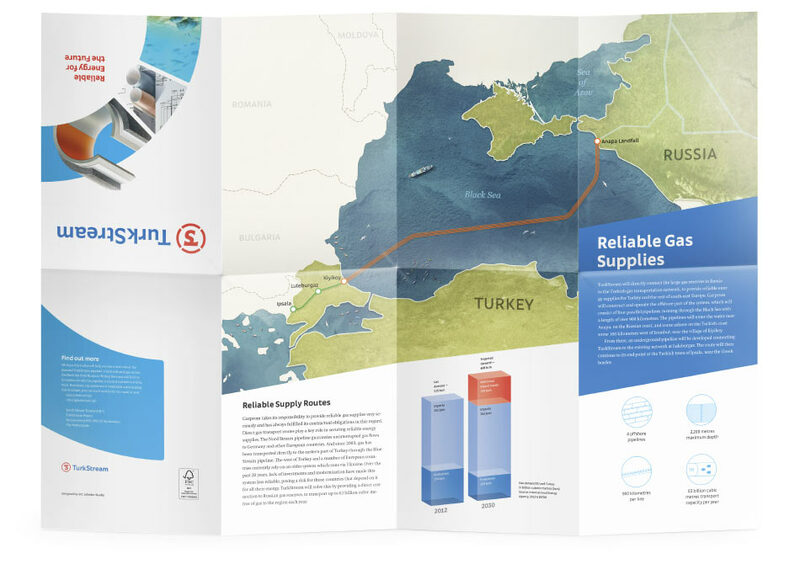 Materials dedicated to specific components of the pipeline contain maps drawn in the corporate style. 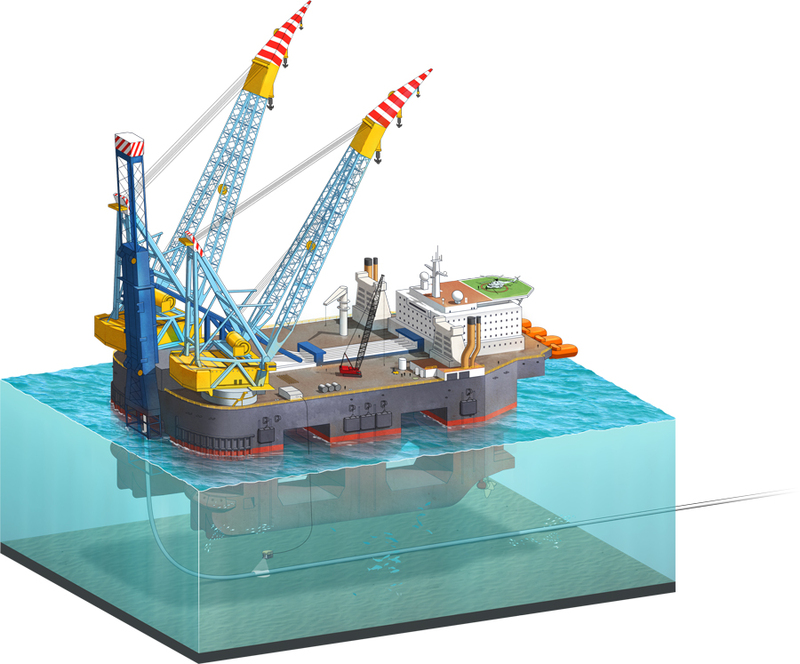 Carefully drawn images of ships are used to illustrate methods of offshore pipe laying. 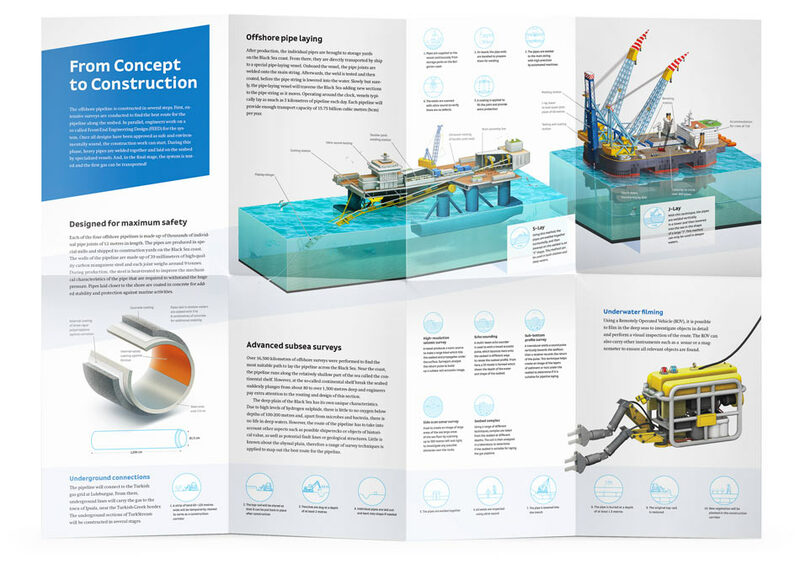 Illustrations for all possible events were also created for the project. 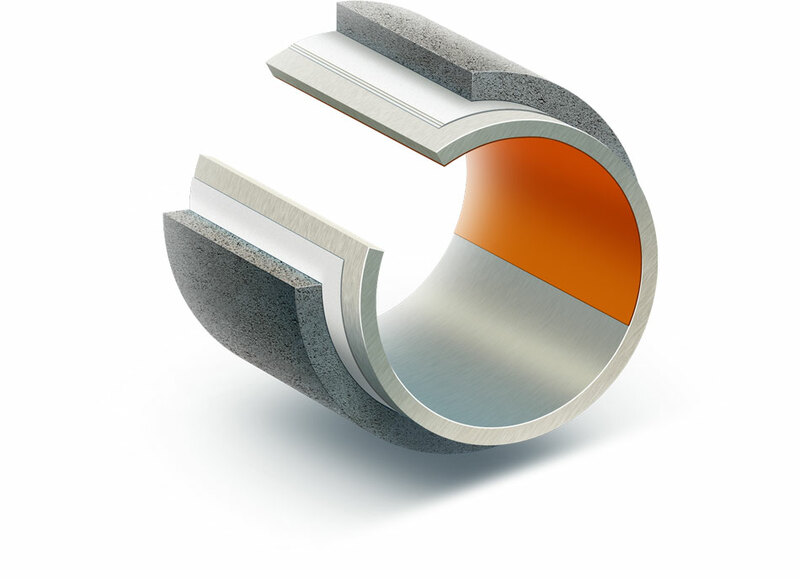 Symbols are used to denote individual stages of the project, objects and their specifications.